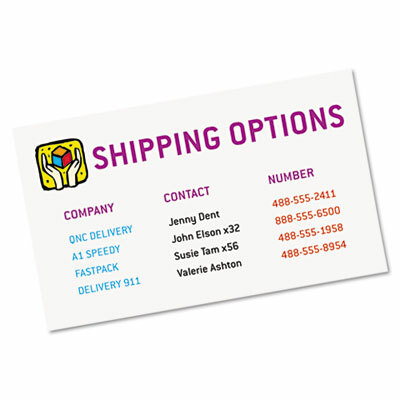 Heavyweight card stock feeds easily from paper tray. Ultra-fine perforations separate cards cleanly. Easy-to-format using preset layouts in most popular software programs. Heavyweight card stock feeds easily from paper tray. Ultra-fine perforations separate cards cleanly. Easy-to-format using preset layouts in most popular software programs.